Welcome to the wacky world of animal group names in this rollicking new picture book that’s perfect for anyone who ever wondered what to call a group of giraffes. which happens sometimes in a flash. 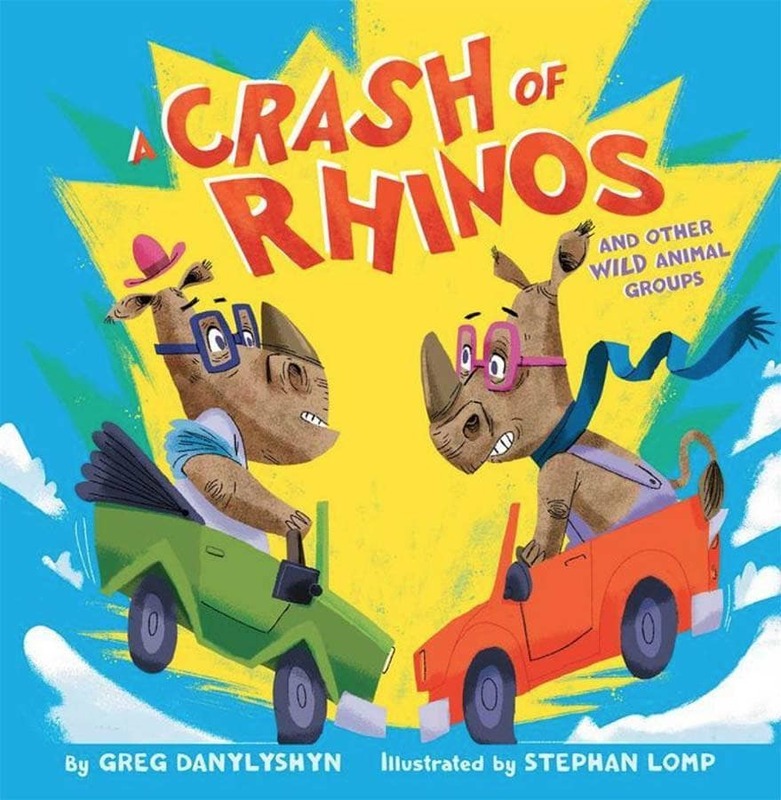 Everyone has heard of a school of fish and a flock of birds, but did you know that a group of rhinos is called a crash? Parents and children will love sharing this hilarious and imaginative read-aloud filled with clever word play and bright illustrations that introduce readers to the surprising world of collective nouns used to name some of your favorite animal groups.